A three-story apartment house. The cherry tree in front of the building eloquently shows us the length of its history. 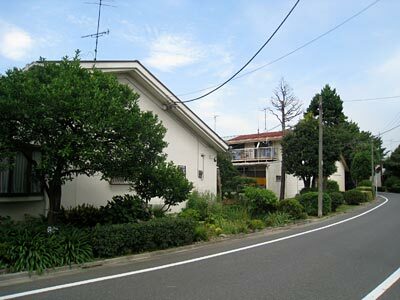 Not far from my house there is an old housing estate "Asagaya Estate". 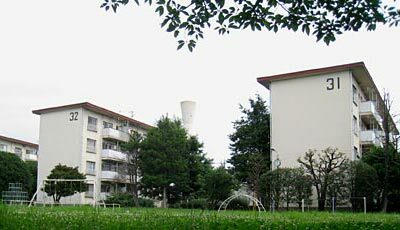 Asagaya Estate was built by the Japan Housing Corporation in 1958. 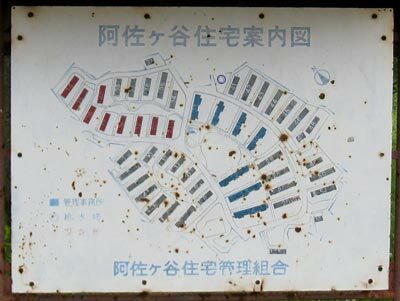 The Japan Housing Corporation was established in 1955 to provide middle class people with good quality housing, as the Japanese economic miracle just started and the number of existing houses fell far short of the needs as a result of the huge influx of labor force from provinces into the metropolitan area. 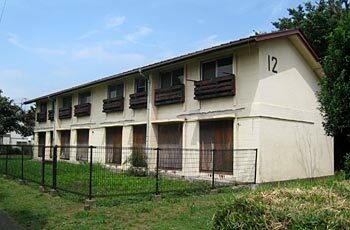 Asagaya Estate was one of the earlier development projects of the Corporation. 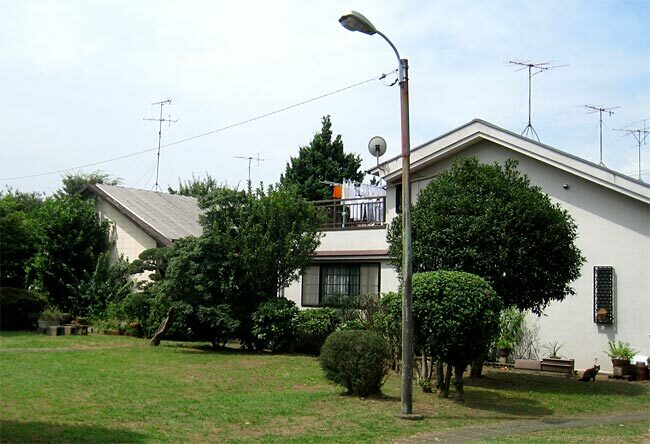 The in total 350 houses of Asagaya Estate was composed of 118 three-to-four story apartment houses and 232 two-story terrace houses, of which 58 were equipped with flat roof and 174 with inclined roof. The design section of the Japan Housing Corporation made the overall plan of the Estate and the the most part of the individual house plans. Their chief Tsuhata Shuichi tried to include into the estate vast greenery which does not belong to individuals but to the whole inhabitants. More than 50 years after the completion of the Estate, the greenery is grown up and forms an idyllic environment for inhabitants and neighbors. Terrace house with inclined roof (left) and with flat roof (right) - Nobody lives in these houses any more. Four-story apartment house, a water tower and a weedy play ground in front. This street is a donation by the residents to the ward. It is interesting to know that the terrace houses with inclined roof were designed by a private company, Maekawa Kunio Associates, Architects & Engineers. Thus, the whole Asagaya Estate project was the product of a public and private cooperation. All houses were offered for sale and the first residents moved in just after their completion in 1958. But, only 50 years after it completion, it was decided that Asagaya Estate will be pulled down in coming September and new buildings will be built in its place. It is normal in Japan that people rebuilt buildings after a few decades, though this is not normal in many other countries. Asagaya Estate must have been super modern, when it was built. However, it is not comfortable to continue to live in the 50 years old houses. I personally prefer older buildings and believe that we should carefully maintain old buildings and try to renovate and use them as long as possible. However, 50 years ago people did not construct buildings solid enough so that they could be used 60, 70 or 100 years, and it is not wise in Japan to continue to use the original structure and renovate the interior to make houses fit for modern life. It would simply cost more and the old structure is not usually strong enough to resist against heavy earthquakes and therefore do not meet the latest building regulations. There are 116 private owners (122 houses) and 33 corporate owners (228 houses) for the whole estate. They jointly own the greenery and they donated parts of their land to the ward for the purpose of public roads. 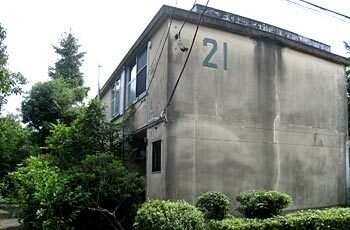 There are professional architects among the residents, who started to live in Asagaya Estate. I should also add that the people in Suginami ward are in general famous for their public and environmental consciousness. Therefore, they must have consulted very seriously on the rebuilding of their estate. They decided in December 2005 to pull down all existing buildings to build 620 new housing units. Then, they consulted for years on concretization of their idea and finally agreed on a plan. According to the plan, they pay much attention to the role of their estate for disaster prevention and environment of the area. For example, they will continue to make their space available in case of natural hazard such as earthquake or flood. They will build the highest six story buildings only in the central area of the estate, so as not to affect the living condition of neighbors. They will also preserve the greenery as much as possible and create the condition to absorb rain water within the estate much more than officially required, so that the possible damage will be less serious in case of ultra-heavy rain. It is pity that I will not be able to see such nostalgic scene in the future. But, I wish that the new estate would be an exemplar case and please not only its inhabitants but also neighbors and visitors like me. 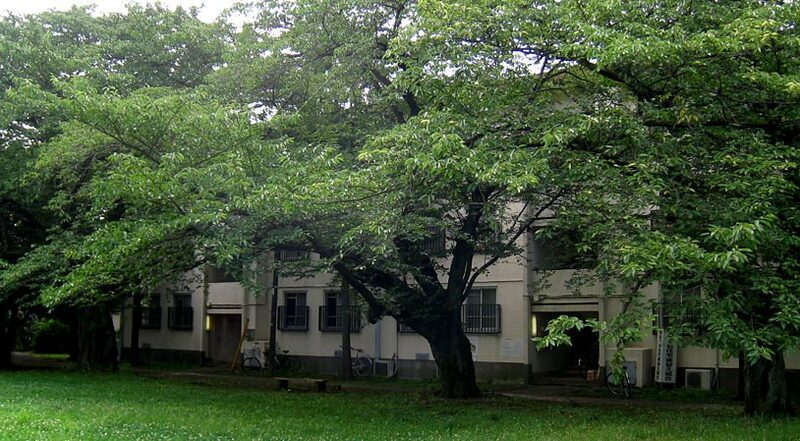 Residents of the estate can enjoy sunny and spacious greenery, which is a privilege in Tokyo.